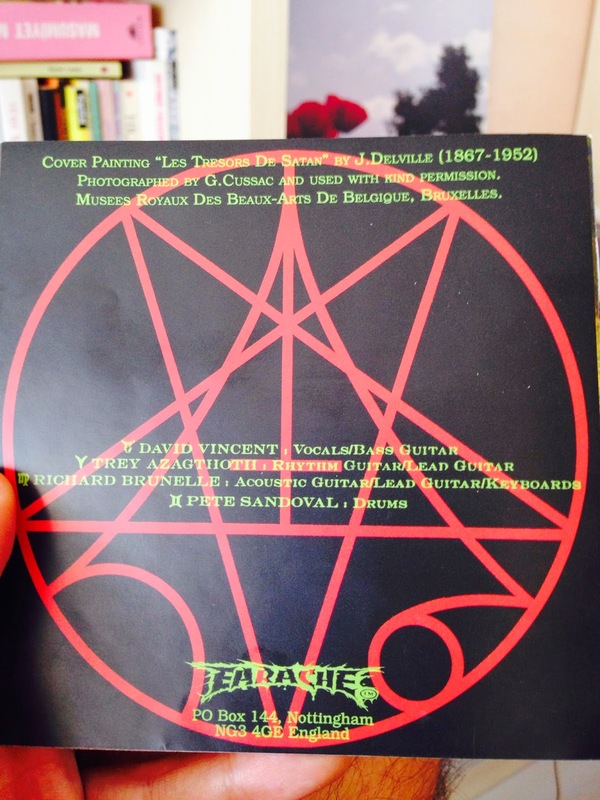 As a proud owner of this masterpiece I can only say that to the open - minded Blessed are the Sick are more than just a cult death metal album. It is the pinpoint of 90's death metal. 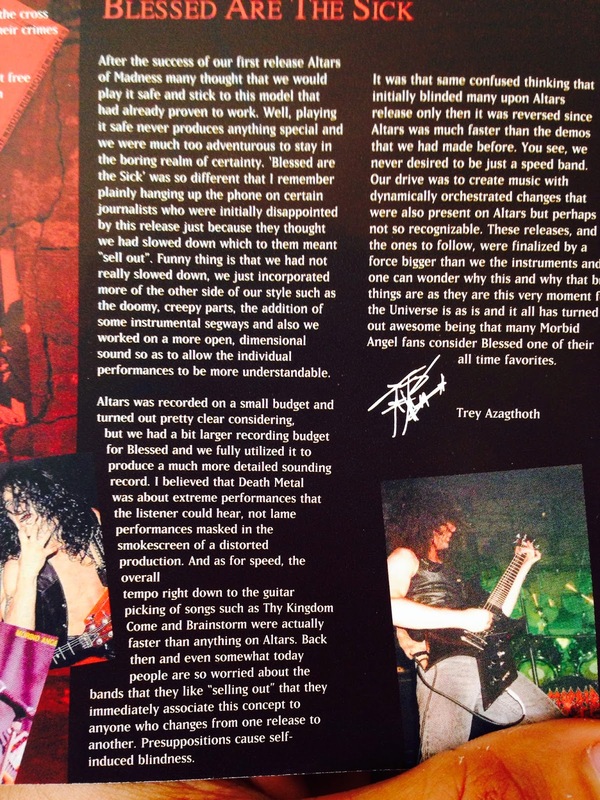 Morbid Angel lyrically and musically created a master piece that has lasted for centuries to come. Blessed are the Sick was released from Earache Records back in 1991. I was 6 years old back then. If I could get my hands on such devilish act I may turn out to be much more better person.! 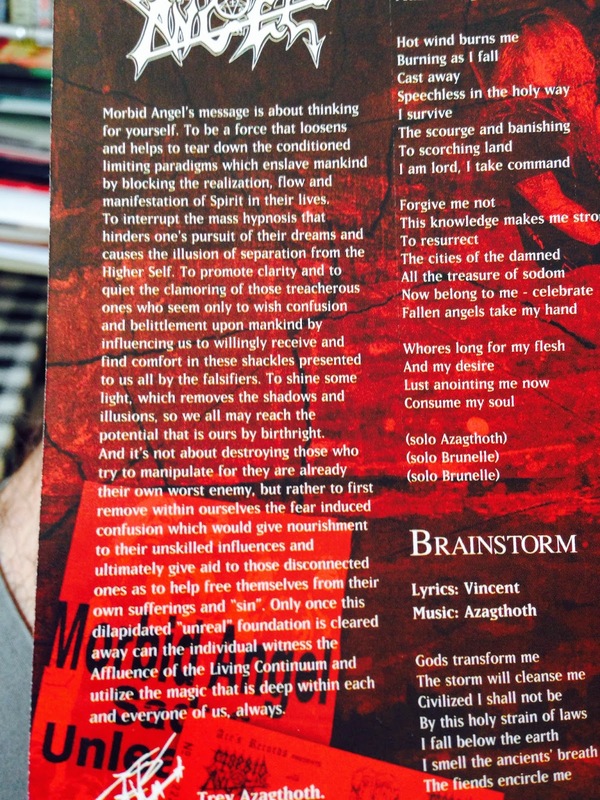 In the booklet there is a detailed information on the recording process and criticism against this album. Blessed are the Sick were the second release after Altars of Madness which had a bad production but it sounded devilishly awesome. Every song on the album is awesome. I cannot pick any favorite apart from the Blessed are the Sick.